Closeup of Schmitt's left Apollo 17 lunar surface EVA glove. 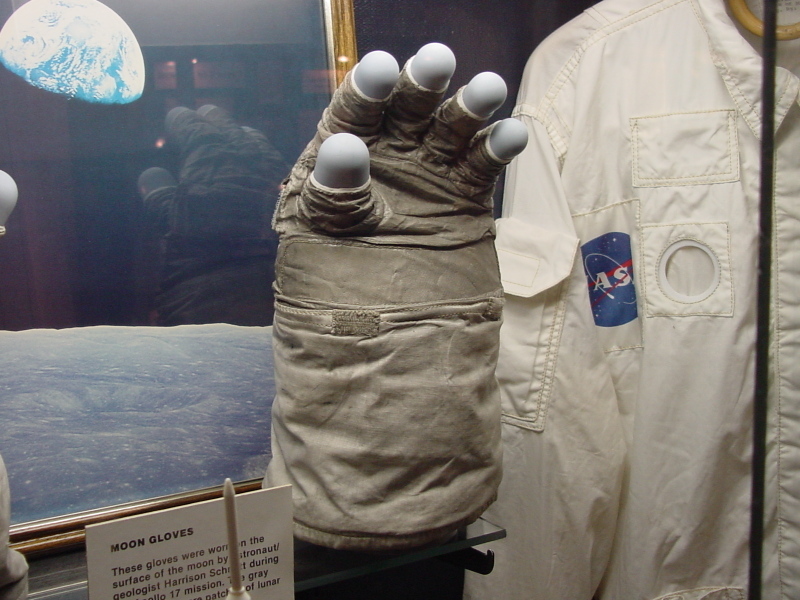 These gloves were worn on the surface of the moon by astronaut/geologist Harrison Schmitt during the Apollo 17 mission. The gray discolorations are patches of lunar dust.